If your family likes to snack and enjoys the movies, keep reading! 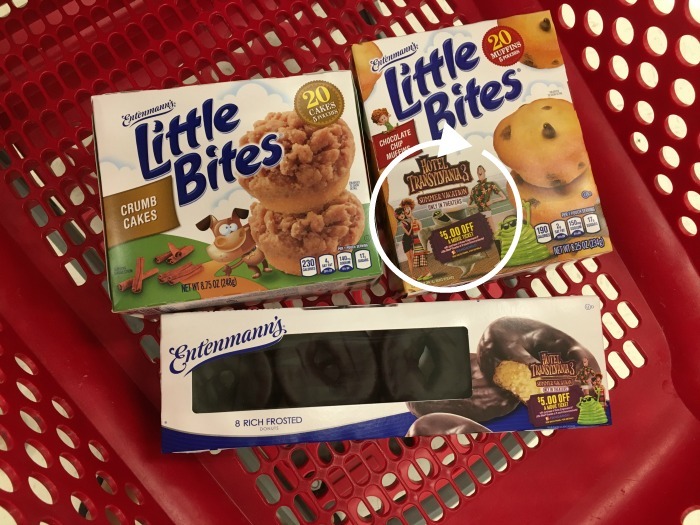 Last time I was at the store we picked up a box of Entenmann’s® Little Bites® Chocolate Chip Muffins, Crumb Cakes and Rich Frosted Chocolate Donuts. You’ve heard me share my love for Entenmann’s® Little Bites® before. We are big fans in my house because they are perfect, pre-portioned pouches of baked snacks made with real ingredients like blueberries, strawberries, and banana. 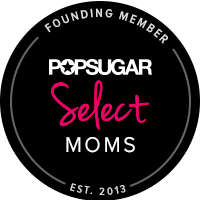 Most varieties are less than 200 calories per pouch! 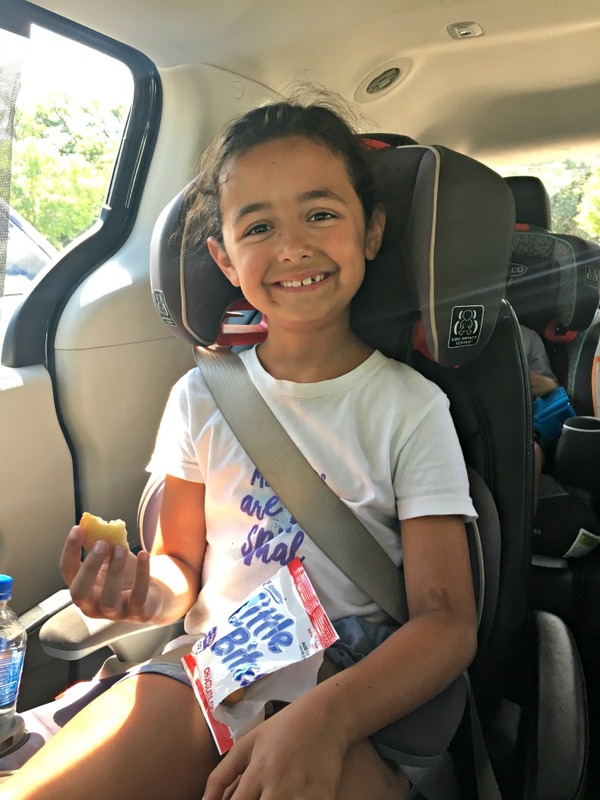 It’s great to have snack options that kids will love and a choice parents can feel good about. So, if you plan on heading to the theatre to keep cool this summer, be sure to take advantage of this great promotion! Hotel Transylvania 3: Summer Vacation opens tomorrow! 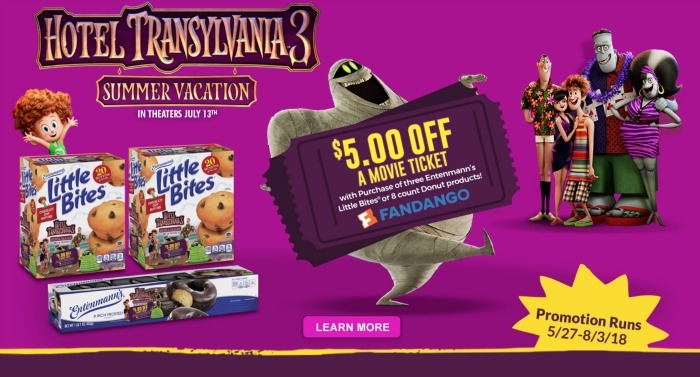 For more information please visit https://www.littlebites.com/hotel-transylvania-3.